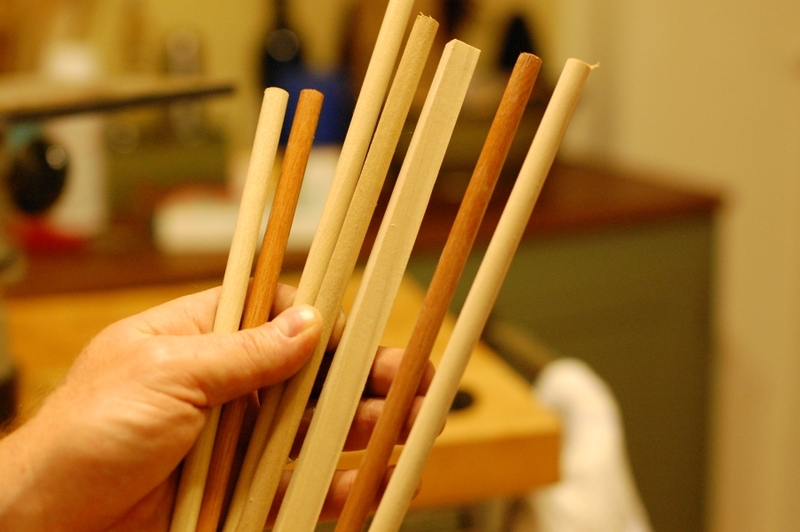 I start by milling the wood that I am using to 3/8″ by 3/8″ by about 3′. Here are some milled shafts with a square blank in the center. The jig itself is a straightened piece of hardwood (anything will do probably) with small blocks affixed to the side with screws. I drilled through the center of each block and lined them with bronze bushing parts that I found at my local hardware store. 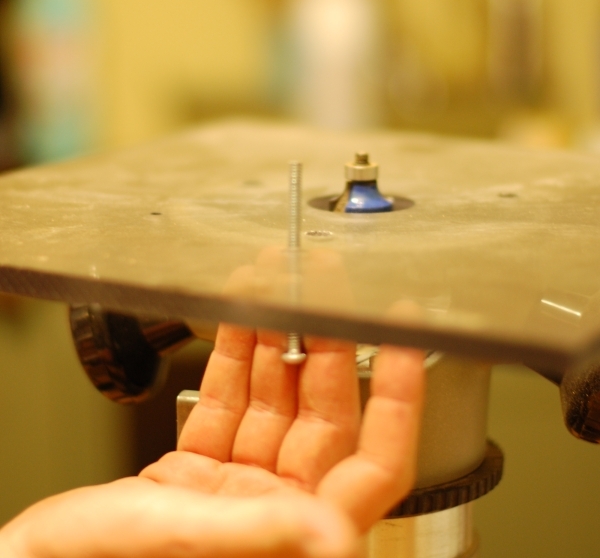 This machine screw is really critical. 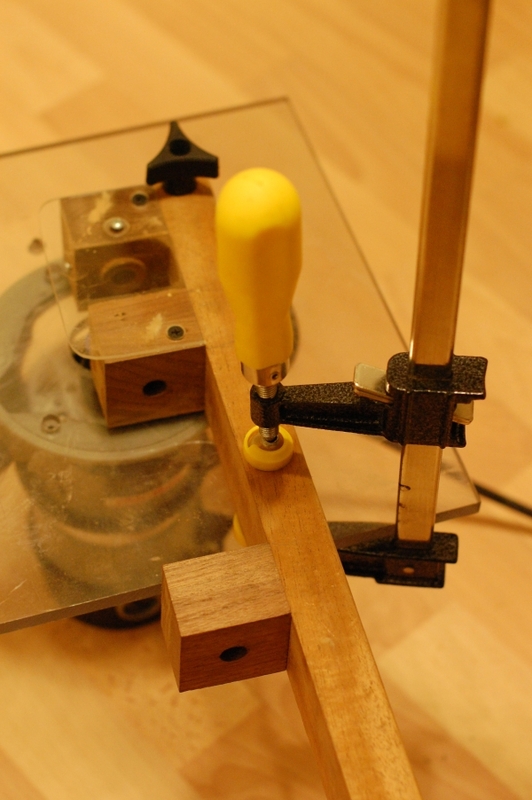 It allows me to pivot the base of the jig closer or further from the router bit. 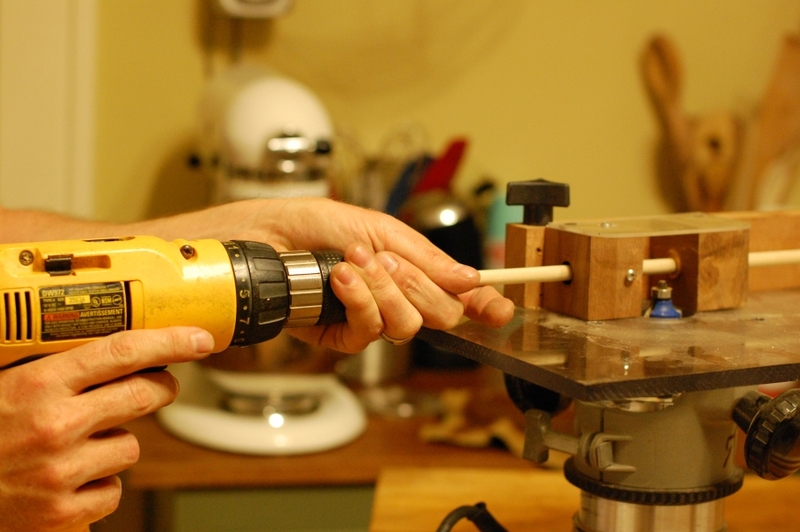 This allows me to fine tune the jig to get the exact thickness of shaft that I need for the arrows I am making. All this allows me to make traditional archery wooden arrows from hardwoods that are difficult to find or just really expensive. 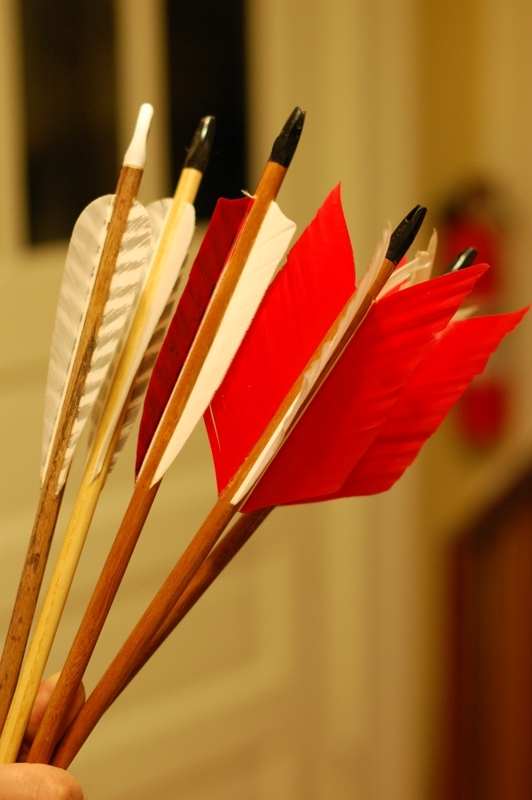 This entry was posted on August 21, 2012 at 3:39 am and is filed under Archery, Woodworking. You can follow any responses to this entry through the RSS 2.0 feed. You can leave a response, or trackback from your own site. This looks great! Any revisions to the design? It could be improved but still works well enough that I use it when I need more. Let me know if you make and improve it. Very nice. Much more elegant than the one I made. 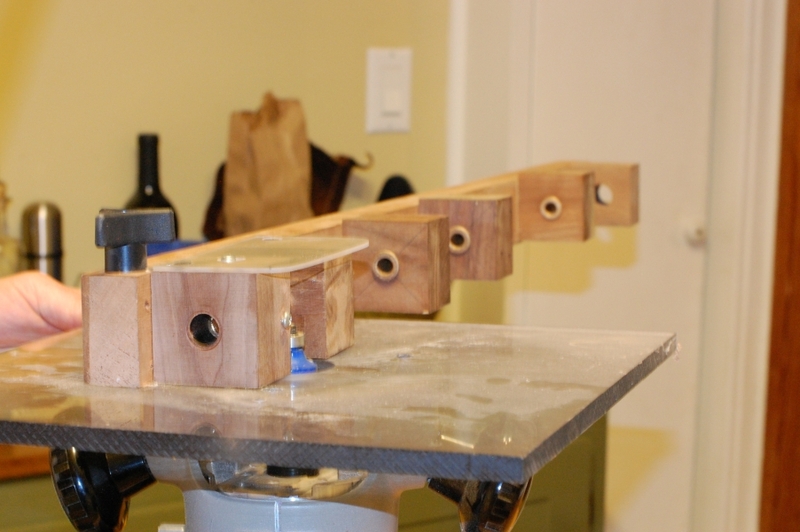 Mine is 1 1/2″ Al angle with drilled hardwood blocks mounted. No bushings, If I want a different size I make new blocks or a whole new jig. I raise & lower my router to adjust size. I also lower and raise the router to adjust the size.